The new year is here, and you know what that means. It’s time to figure out which tax software you’ll try this year. Since TurboTax has been around since the mid-80s, it’s definitely one of the most prevalent companies out there today. Alas, so many people hate using TurboTax that there are numerous articles covering the topic as if it were news. TurboTax reviews are less than positive sometimes, and many users only use it once before they look elsewhere. Plus, the price can be a sticker shock, especially if you think you’re getting one tier, only to discover you need to upgrade to a more expensive pricing tier half way through your taxes (or even worse, at the very end). If that’s where you’re at — ready to look elsewhere — you’ve come to the right place. This guide will introduce you to the basic TurboTax features and how this software stacks up to some of its competitors. Which Alternative To TurboTax Is Right For You? Before you shop around for a new tax software, look over the chart below to learn about additional options, pricing, and more. The free version of TurboTax lets you file a 1040 and a state return provided you don’t itemize. However, you cannot use the free version to file Schedules 1-6. The free version lets you file a 1040 and Schedules 1-6, making it ideal for people with uncomplicated taxes. The free basic version allows you to file a 1040 and your state taxes. The most limited free version, allows you to file a 1040 and state return if you have no dependents. TurboTax offers multiple online options that start at $39.99. The plan at this price — called Deluxe —comes with guidance to help you maximize your deductions, live customer support, and more. Deluxe online tax filing with H&R Block starts at $29.99. You can also make an in-office appointment and receive individualized help for as little as $59.99. TaxSlayer’s Classic version starts at just $17. This basic tax program includes features like support with deductions and credits, IRS Inquiry Assistance, and easy online uploads. The top tier Ultimate software starts at just $57. TaxAct offers some very cheap entry level tax software, including a basic package for just $9.99. Even their top tier “Premier” tax software costs only $34.95 for federal only. TurboTax offers an abbreviated free version that works well for consumers who don’t itemize their taxes or plan to take any specialized deductions or credits. For everyone else, they offer three paid versions of their online product — Deluxe, Premier, and Self-Employed. These products range from $39.99 to $89.99 and aim to help consumers save money through deductions and charitable contributions. The Self-Employed package goes the extra mile to search for industry-specific deductions and credits many don’t even know about, and you’ll find extra guidance on tricky tax ideas for the self-employed like deducting mileage, the home office credit, and more. All versions of online TurboTax software offer an Audit Support Guarantee, meaning you won’t be left to fend for yourself if you are audited for any reason. If you want live one-on-one support, however, you’ll have to fork over some cash for one of the paid versions of this product. Both H&R Block and TurboTax offer audit support guidance, live tax support from trained tax professionals, and a free version perfect for easy filers. H&R Block’s free version is significantly superior, however, since it lets you file a 1040 and Schedules 1-6. Paid versions of H&R Block flow similarly to those of TurboTax. The Self-Employed version has superior benefits which ease the tax stress for small business owners and entrepreneurs. We love the fact that both offer live customer support you can access online, but we like the fact that H&R Block still has physical offices for people who want some hand-holding while they work through their unique tax situation. Bottom line: Both H&R Block and TurboTax offer similar pricing and features, although H&R Block has a slight edge in terms of pricing and customer support, in my opinion. When you look at TurboTax and TaxAct from a distance, it’s easy to see why someone might choose TaxAct. The software is significantly less expensive — even for their top tier online product. We also love how TaxAct offers a 100k Accuracy Guarantee. This means they will cover the difference in the case of a higher tax liability, and they will pay all legal and auditing costs required if you are up for an audit. Also note that TaxAct is offering a $100 refund bonus if you put at least part of your refund on gift cards from their popular list of retailers. TaxAct does offer one-on-one customer support, but it is not known for wowing consumers with a lot of hand-holding. Plus, their free tier is one of the most limited of all free file tax software options this year. For this reason, you may want to go with TurboTax if you anticipate needing a lot of help. TaxSlayer offers several tiers of software aimed at consumers with different tax situations. 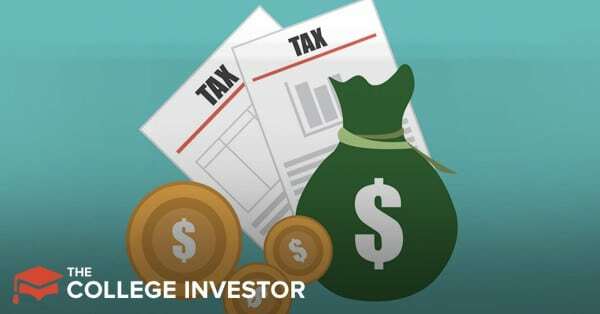 Their Classic and Premium versions are geared to filers who may have slightly more complicated tax issues than the average person who files only a 1040. Their self-employed software offers special features for people who need help figuring out what they can and cannot deduct and other tax issues specific to small business owners. Finally, TaxSlayer’s Ultimate product offers the best of all their features including identity theft and restoration services, premier audit defense, and unlimited phone, email, or chat support. Generally speaking, TaxSlayer is less expensive than TurboTax because it offers fewer perks and features. But, you get access to all tax forms at their lowest price point, so for filers that know what they are doing, there is significant savings potential. TaxSlayer does have more bad reviews on TrustPilot than some of its competitors, including reviews which complain about math errors and customer service issues. Make sure you double check your return before filing. At the end of the day, no tax software is perfect for everyone. Each product has its pros and cons and some offer features that provide more support to consumers in different tax situations. The best tax software for you is whatever option fits in your budget and helps you file your taxes with minimal stress in the end! Bonus points for companies that offer live support so you can ask questions as they pop up. Should you go with TurboTax or somebody else? We hope this guide will help you decide. The post TurboTax Alternatives: 3 Other Popular Options appeared first on The College Investor. Is Toluna Surveys A Scam? A Legit Survey Site Under Review!